Shortlisted for the CMI Management Books of the Year Awards. An expert on innovation argues that many capable women are losing out at work, and that this harms businesses, individuals, and society. Women now outperform men at every level of education, yet in the workplace they are under-promoted and under-paid. Here, Tom Schuller examines why this happens, and asks what we can do about it. 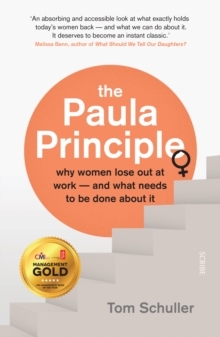 Schuller identifies the five factors which prevent women from achieving their full potential. He argues convincingly that addressing these will not only make society fairer but also make workplaces function more effectively - yet this will only happen if men change their patterns of work and attitudes to careers. This book is required reading for anyone who would like to see the world of work become more dynamic and fulfilling.